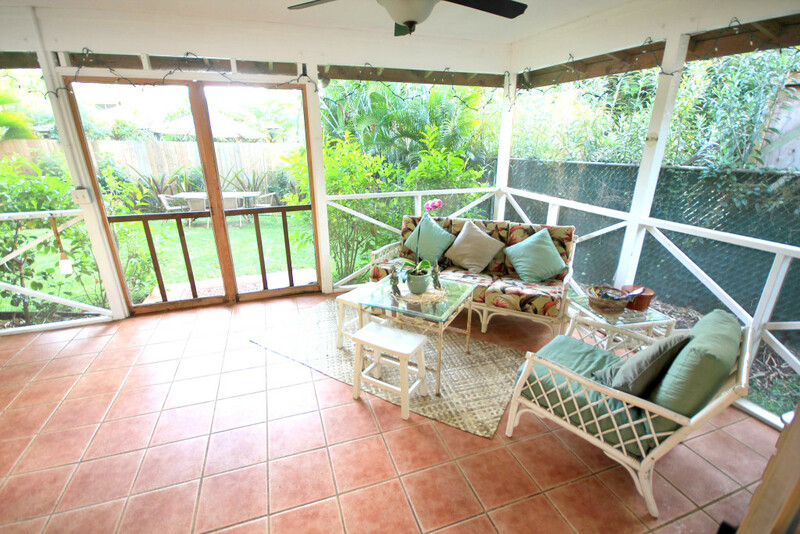 This lovely 2 bedroom 1000 sq ft home sits directly across the street from Three Tables Beach. 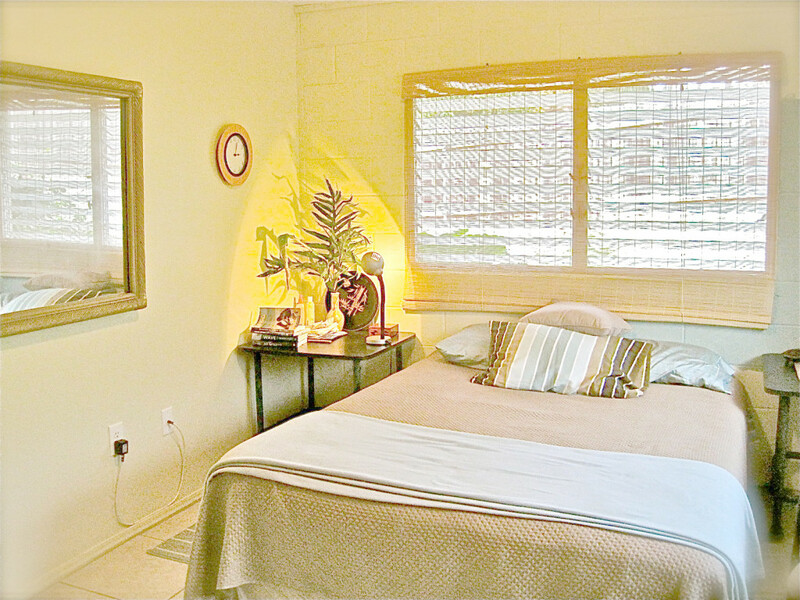 Lull yourself to sleep at night with the sound of the lapping ocean waves. 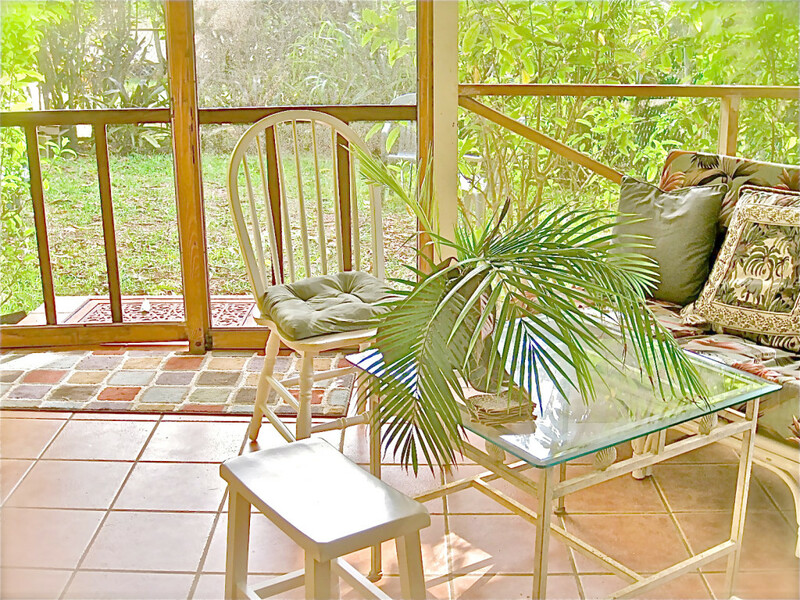 The home is surrounded by lush tropical landscape, papaya trees, bamboo, etc. BBQ exquisite, island fish, meat, poultry or local vegetables in your back yard, underneath our ancient mango tree. Skylights warm the large, fully equipped kitchen as well as the bathroom. 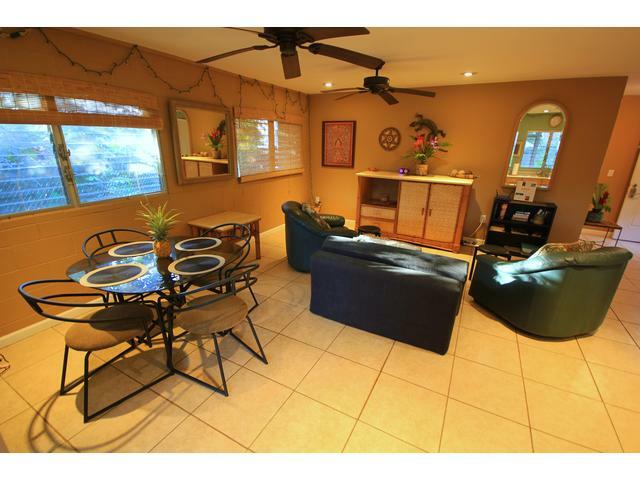 Trade winds keep you cool all year round along with ceiling fans, no need for A/C here! This property has 2 King(s), 2 Full(s). THERE'S A BEACH RIGHT ACROSS THE STREET! Luana Iki is like a home away from home with a full kitchen, beautiful garden, and all the amenities you would need...it was actually better than my home, lol. We loved that there's a beach right across the street! There's easy access to the locked gates and the front door. 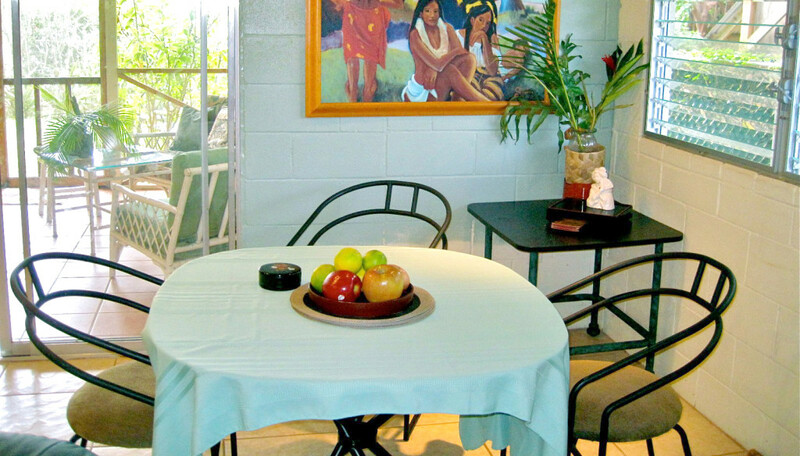 It is an AWESOME place to stay for vacation or hangout on the North Shore of Oahu. We hope we can go back soon. IT EVEN CAME WITH A COMPLETE BEACH CRUISER! The entire experience was amazing. We stayed at the small house for the first night since the large house was occupied, so we got to experience both. We loved both of the house SO much. 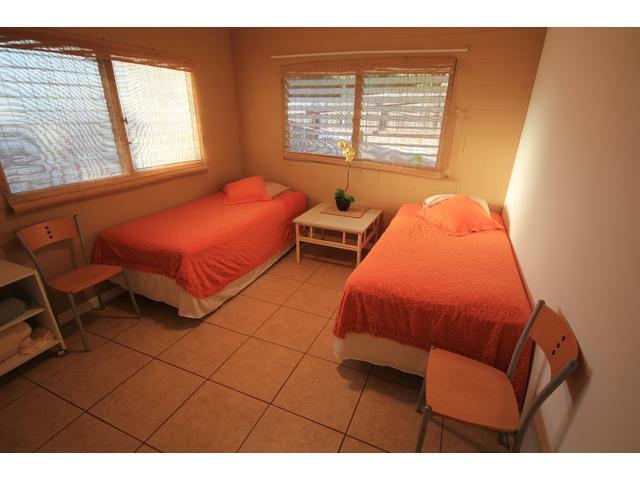 They are right across the street from the beach and convenient to restaurants, grocery store, etc. 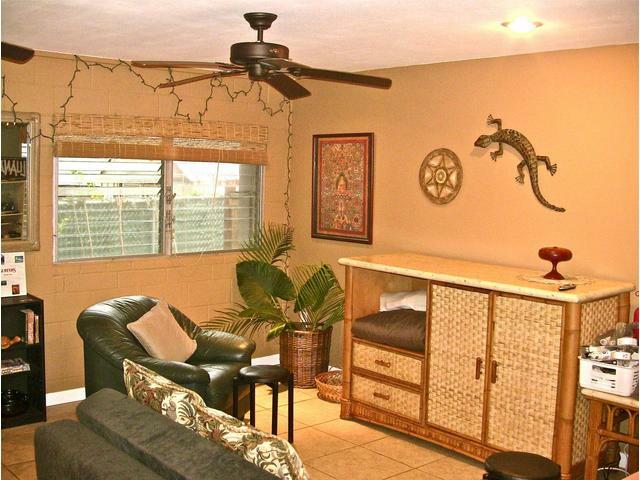 The large house has an awesome wrap around deck and a tiki bar! SO fun! And it even came complete with beach cruiser bicycles which we used a ton (we barely drove the car at all the whole time we were there). It was so much fun to go exploring the different beaches and coves on our beach cruisers! And the inside is incredible spacious and open. We loved everything about it! Unfortunately we do NOT accept cancellations at this time so be sure you will be coming at the time you choose. NO EXCEPTIONS. 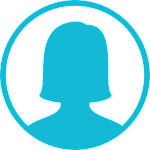 If you need more information feel free to get in touch, I’ll be very happy to help- Samuel.